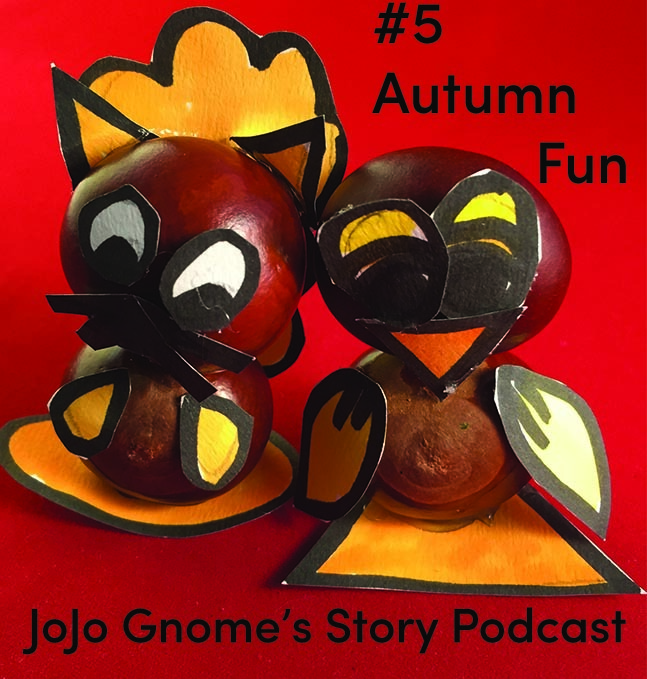 In JoJo Gnome’s Story Podcast #5 ‘Autumn Fun’ we have the story ‘JoJo Gnome and the Windy Day’ where our wee Scottish Gnome gets blown off his feet and has a sky high adventure. Have a listen. Send us your ideas for the Story starter with is a windy day story. 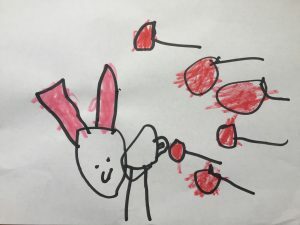 We’d love to see your drawings too send them to jojognome@gmail.com. So you don’t miss a single episode subscribe to the podcast on the player above. You can also find the podcast on Spotify and iTunes. Please leave a review and tell your friends about it and share. 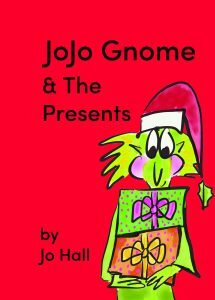 The latest JoJo Gnome Book is out now in time for Christmas.. This fun filled ‘noisy’ adventure in Sound Town is full of seasonal fun. No one is very happy in Sound Town but will JoJo and Grandpa Gnome’s presents sort things out? The book is for sale now on JoJo Gnome’s Etsy page. The cost is £6.50 (free postage and packing on the UK mainland), there’s a free exclusive JoJo Gnome badge with the first 50 copies purchased. Perfect for Christmas! Being someone who loves to make crafty things and also who loves autumn …here’s a double fun idea for you. Why not make your own Conker Chums from conkers you will find lying about on the grass under horse chestnut trees. If you don’t have conkers you could use modelling clay instead. Full details and templates for making tyour Conker Chums are here. Check out the wee film below. Enjoy. Story Starter – Things Caught in the wind! Check out these amazing pictures send to me by Sandy and Jacob. 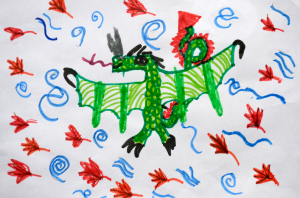 These are what they thought JoJo saw on the windy day, a dragon and a magic rabbit in a gust of lollypops! I love flying kites and last year I made my very own JoJo Gnome kite. What do you think?